Is Windows and Linux dual run possible? My PC runs in Windows XP. I would like to add Linux operating system along with Windows XP. Is this possible? Is it possible to do dual boot with Windows 8 and Linux OS? Will it cause any problem? Whata are the uses of Linux and how it is different from Windows? Is it possible for us to install the Linux binaries/applications in Windows? Why should one must use Windows Operating system when Linux is available for free? What are the reasons behind using Windows OS when Linux is there as a Open Source operating system? 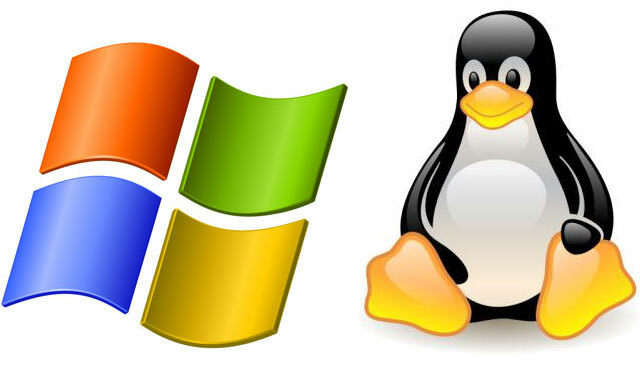 Is Windows 8 Operating system powerful than Linux Operating system? Is W8 really worthy to switch from Linux? Re: Is Windows and Linux dual run possible? For using windows and linux combined you should have good processors with high performance. Otherwise, it will become very slow and unstable system. Atleast 3 GB ram is required. The advantage of dual boot is giving security to system. If windows has virus then you can run linux. If your windows is crashed, the you can use linux. If you have not installed the linux, then I strongly recommend you to install it in a different drive from windows. This is highly helpful in the event of crash or viruses. You can also restrict the amount of memory that linux can use. This option is asked during installation. There are two ways to dual boot with a Windows system preinstalled. The first is to add a new or spare hard drive to your system and use this for version of Linux you want to install. The second solution is to use the installer to automatically resize your Windows partition to make room for the new Linux one. This works well, and it's the method we've used, but there is a slight risk that if anything goes wrong during the resizing process, you may lose all your date. Back up now! Insert the Ubuntu disc into your optical drive and reboot your machine. If your system ignores the disc and jumps back to Windows, you'll need to either look for a BIOS boot menu key as soon as your computer starts, or enter the BIOS and change the boot order manually. If the drive is successfully read Ubuntu presents the welcome screen, from where you can choose between running the CD in live mode, or proceeding directly to the installation. We chose the latter. You now need to answer a couple of standard pre-installation questions, including which time zone you're located in and the layout of your keyboard. After these you'll see the 'Prepare Disk Space' page. If your Windows installation has been detected properly, the first line on the page will explain that 'This computer has Windows on it', and the default option of 'Install them side by side' will be selected. Keeping the options at their default value will create a dual-boot system. Use the divider in the horizontal bar at the bottom of the window to adjust the sizes of the Windows and the new Linux partition. The Ubuntu installer knows how much space is currently filled within the Windows partition, and it won't let you reduce the size of its partition to less that this. Which partition you give the most space to depends on which you're going to use most, but we'd recommend at least 10GB for the Ubuntu installation, and much more than 10GB if you intend to make the Linux environment your main operating system. When you're happy with the division in space between the two operating systems, click on Forward. Resizing the Windows partition and creating new ones for Linux can take some time. In the background, Windows data is being moved into adjacent blocks of your hard drive before the partition table is rewritten to include the new Linux partitions and the resized Windows partition. When the resize processed has finished, you'll see the user account settings page. Enter a username, password and a name for your computer and choose whether to log in manually. The next page is Ubuntu's Migration Assistant. This will attempt to import data from the Windows partition and move it to your new user account. You can choose to import your bookmarks, wallpaper, avatar, music, images and documents, all of which will be placed in their corresponding home folders. Finally, click on Forward, read the overview and click on Install to create a new Ubuntu installation. Yes offcourse it is possible to have both windows Xp and Linux installed in your system. Initially you may face some problem as both the operating systems uses different file systems to store data. Linux uses FAT file system while Windows XP uses NTFS file system. So the drive you want to install linux in is to be formated as FAT. Next you won/t be able to access the drives in which your personnel data is present as it will be available in HTFS format drive. So you need to install a software in linux to view the data. Yes definitely windows and Linux dual run is possible. All you need is two different partitions. You can have windows on one partition and Linux on the other partition. 2. Run the Installer to install the operating system. 3. After certain steps the installer will ask you choose a partition on which the operating system is to be installed. 4. Select any drive other than windows operating system's partition and proceed with installation. After successful installation you will have two operating systems to boot with. There is one more way to use two or more operating systems on system. You can use Virtual Machine (Vmware) software and install any operating system in it.